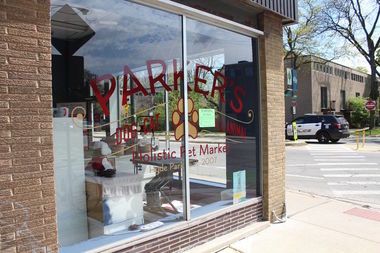 The owner will retire after the state revoked the pet groomer's license. In an episode of WTTW's "Check, Please!," diners raved about chef Mario Maggi and Briciola's patio. Operated by two brothers, Federal Moto is getting international attention for its one-of-a-kind rides. Built on the old Schoenhofen Brewery site, the distillery will soon be producing vodka, gin and more. "It feels great to grow as a family. We hope that we can continue to grow," Arturo Torres Jr. said. The new Jamaican restaurant is now open in Wrigleyville. The Little Italy stand's opening is an annual reminder that summer is right around the corner. The local jeans manufacturer has been growing quickly since starting sales in September. Spotlight Dance Academy, 7036 W. Higgins Road, cut the ribbon on its new studio Saturday. The chefs will create a contemporary American menu at the boutique hotel opening Sept. 1. Owner David Jones said he will close the store and move out of the neighborhood for the first time. The store is hosting an "everything must go" liquidation sale in the lead-up to its June 2 closing. Steak and breakfast sandwiches, Mexican licuados, or milkshakes, and juices will be on the menu. Nestled in west Avondale, the new restaurant features empanadas and milanesa sandwiches. "I can't wait to see my old customers again," said founder and chef Larry Tucker.